Being a German I know nothing of government shutdowns. So I am scratching my head if a shutdown, should it occur this friday, would stop KSC launch operations and with that any FH WDR/SF/launch attempt? And am I right to assume that a shutdown would not impact any CCAFB operations, since military staff is considered "essential"? I seem to recall that previous shutdowns have had no effect on CCAFS or KSC launch operations. Someone surely will correct me if I am misremembering. Florida Today discussed a similar scenario with Gen. Monteith in December, 2017. Essentially, uniformed personnel reduced to 1/4 and unable to launch with that small a workforce. Operations deemed essential to national security or of significant and unrecoverable monetary investment would continue. If a launch in that timeframe - i.e., SBIRS on Atlas V - were to find itself slipping to a day when the government was shutdown, and that mission was deemed necessary for national security, it would still be launched. Employees at the Range (45th space wing military) would work the launch with deferred pay. Likewise, if certain national security payloads were/are in processing, or payloads of high monetary value and a specific short launch window (like interplanetary missions) are in processing, they might receive waivers to continue processing. Again, those performing that processing, if government employees, would work with deferred pay (and not necessarily with guarantee of back-pay -- that has to be approved by Congress, which they usually do). An example of this was MAVEN in 2013, which was in final processing for a launch in November 2013 when the October 2013 government shutdown occurred. MAVEN had a very short launch window to get to Mars, and missing that window would have coast the US government more money than desired. So MAVEN received a waiver and continued processing through the shutdown and launched in November. EDIT: In this case, if we do have a government shutdown at 23:59:59 EST on Friday night, InSight might receive such a waiver to continue processing toward it's short interplanetary launch window in May. Depends on how much contingency time is currently in InSight's current schedule. Stick to impacts, and skip the overtly political critiques that are generic. Post removed. Wasn't me that titled the thread! However... point. The range and the Cape use civil servants which will not be working. Before anybody asks, it would apply to FAA employees too for commercial ranges. So people are still at 45th and CCAFS, but not enough to safely host a launch, and maybe not even a SF. Just no. Airlines don't mess with air traffic control. Ship crews don't mess with lock operations. I would like to know a bit about US law. Regarding the shutdown, is it possible in the US to sue the state? That is, just assuming for a second that the launch can't take place end of january, is it by law possible for SpaceX and/or SES to file for compensation? Just a few keywords and thoughts: SX might have to pay penalties for delaying launches, could lose new orders, SES could lose customers too, a satellite on the ground doesn't generate revenue etc. Here in Europe it would be possible to file for compensation. Please no lobbying, good or bad politics discussions. Might be possible but it's a terrifically bad idea I would think. SpaceX probably has some Force Majeure clauses in their contracts to protect them from delays that are not their fault. It's not impossible, but I think very unlikely. During the last shutdown, courts later ordered payments to some workers who weren't initially paid but I never heard of compensation for less direct matters such as business disruption. Sovereign immunity is one issue, standing (whether you have the right to sue because you are directly affected) is another issue. The pool of litigants could be exceedingly large because practically everyone will be affected to some limited degree, so courts would probably make standing requirements very strict. Should every family who cancels or changes vacation plans because a federal park they were visiting is now closed be allowed to sue? Much more likely is that SpaceX has standard clauses in their contracts for "force majeure" events such as acts of god, terrorism, and government related delays which eliminate their responsibility for delays caused by these types of events. They'll use their time to focus on other work and get back on track asap. FWIW, IAAL but don't practice or have experience in this area. Moved thread from the policy area to general discussion. Please stick to discussion about the effects of the shutdown on the launch ranges, and stay away from discussion about the politics behind the government shutdown. So would this apply to airports, too? Air travel hasn't stopped, so I fail to see why space travel would necessarily have to stop even for commercial ranges. 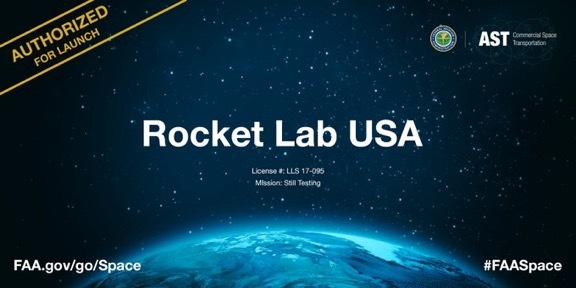 Wasn't the RocketLab flight FAA certified? Yet it still flew. On a secondary note, I predict more traffic on NASASpaceflight forums by furloughed NASA workers. You wouldn't think so, but that's how it worked since RocketLab is, in some legal senses, a US company. A note on MAVEN. It was affected by the shutdown, and lost a couple of days of slack in preparing to launch. It did however receive a waiver after about shutdown day 4. It was cleared to launch *not* because it was an expensive vehicle, and *not* because it had a short launch window that wouldn't repeat for 26 months. It was cleared because the management team successfully argued that because it carried a relay radio for surface missions, including Opportunity and Curiosity, which were already in progress, and that therefore it should be classified an operational mission, which is not subject to the same shutdown rules.